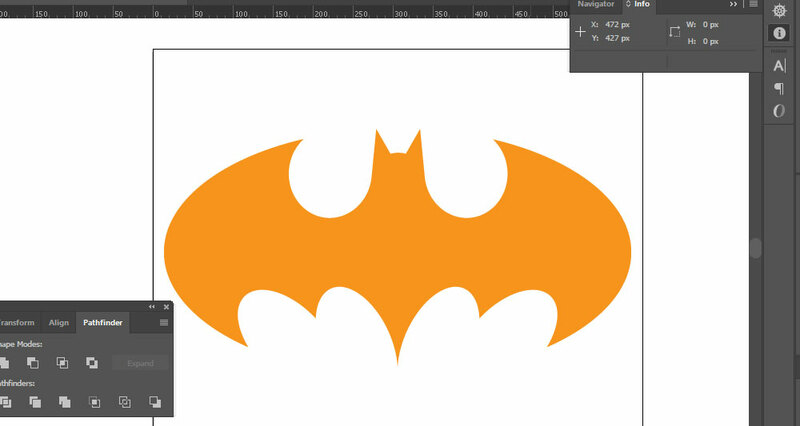 In this tutorial, you’ll learn how to create the iconic Batman logo using simple shapes in Adobe Illustrator. 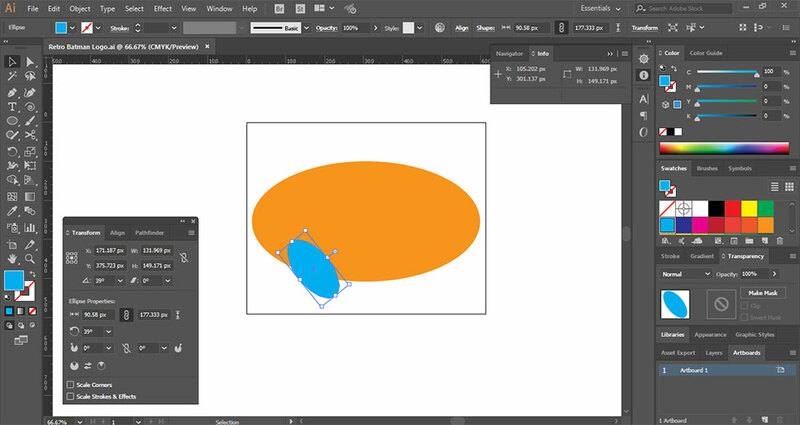 With the Ellipse Tool (L), the Shape Builder Tool (Shift + M), and an understanding of positive and negative shapes you’ll be ready with your own bat signal in no time flat. This Batman logo is comprised of ellipses. 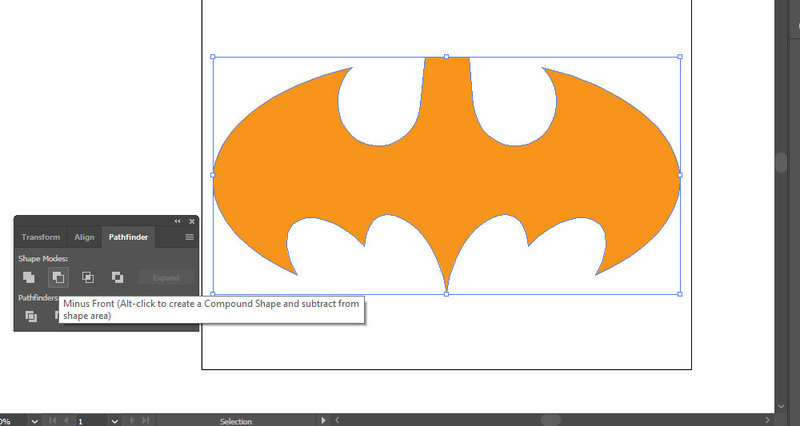 Use the Ellipse Tool (L) to create a horizontal ellipse that will be the base of the bat shape. The two outer ellipses will be added later. Draw another ellipse that’s at an angle. This will form the left edge of the bat wing. 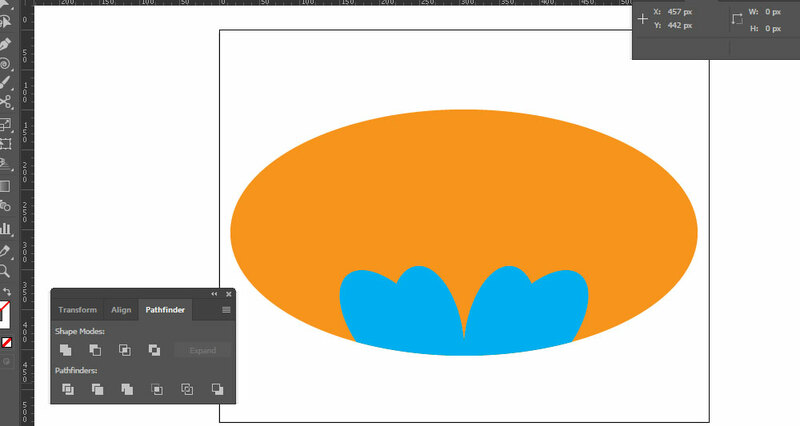 I’m using bright colors so the shapes are easily discernible for the purpose of the tutorial. Copy (Control + C) and Paste (Control + V) the blue ellipse and rotate it 30 degrees to the right. 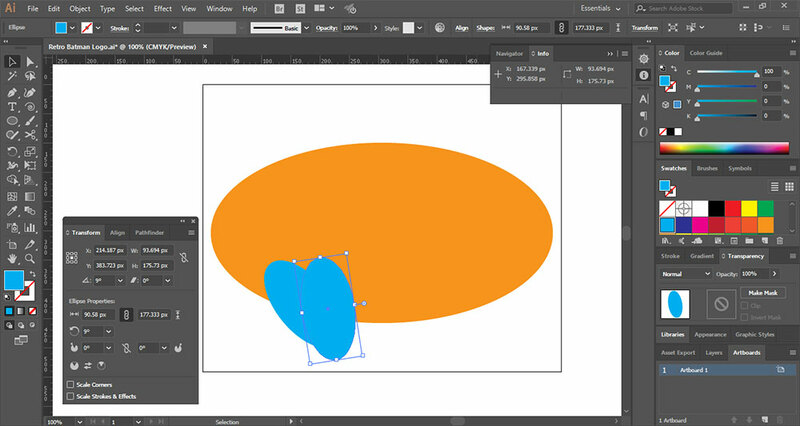 Select both of the blue ellipses, Copy (Control + C) and Paste (Control + V) them, Right-Click and hit Transform. From there, select Reflect. Flip the ellipses over a vertical axis. It may help to Group (Control + G) the ellipses together so they’re easier to manage. 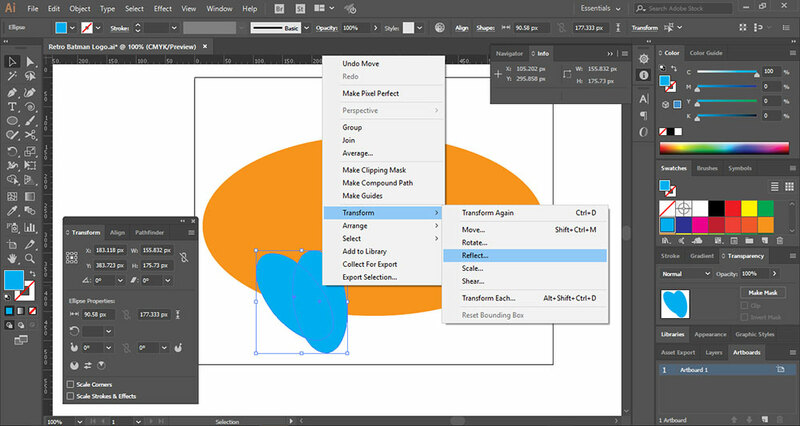 Select all the blue ellipses and click on Unite in PathFinder window. This merges all the separate shapes and make it one. 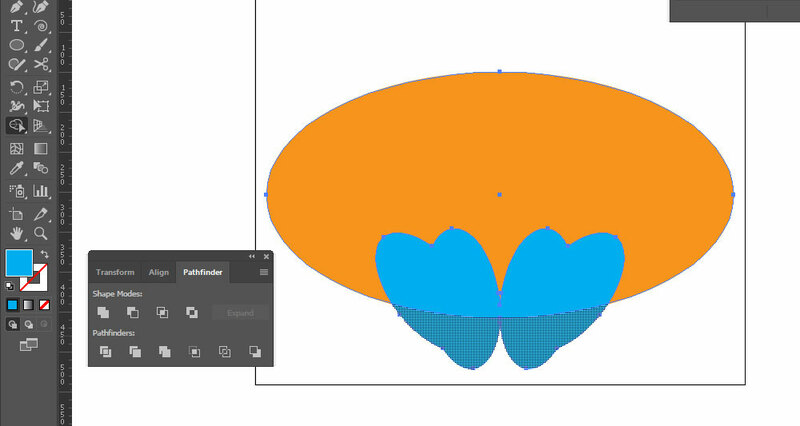 Now select both orange ellipse and the blue shape and click on Shape Builder Tool (Shift + M) in the toolbox and click on the blue shape that is outside the orange ellipse. 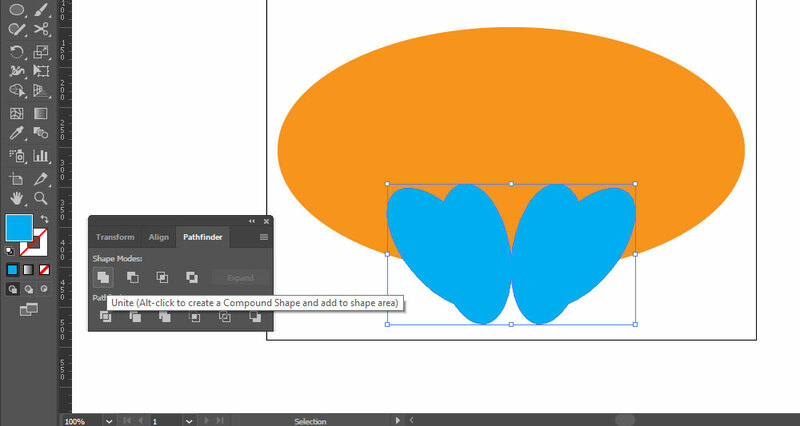 Select both the shapes and use Shape Builder Tool (Shift + M) to click on blue shape. Now use Selection Tool (V), select the blue shape and hit Delete button. 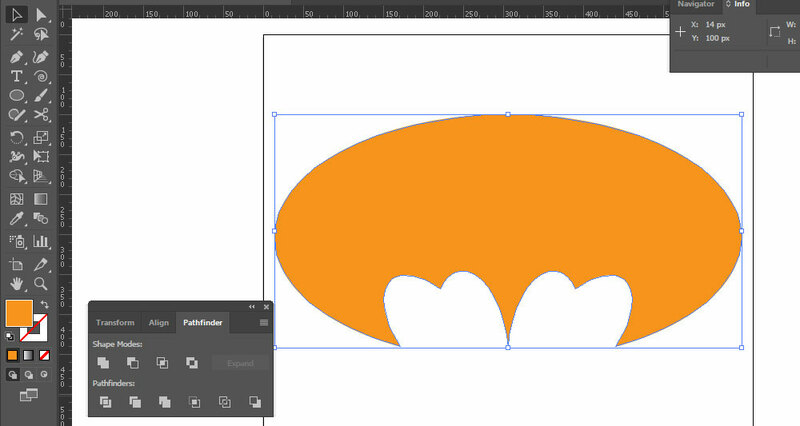 The Batwings will be cut out from the orange ellipse. You can also do this from Pathfinder Panel using Minus Front. Let’s focus on the top of the Batwings. 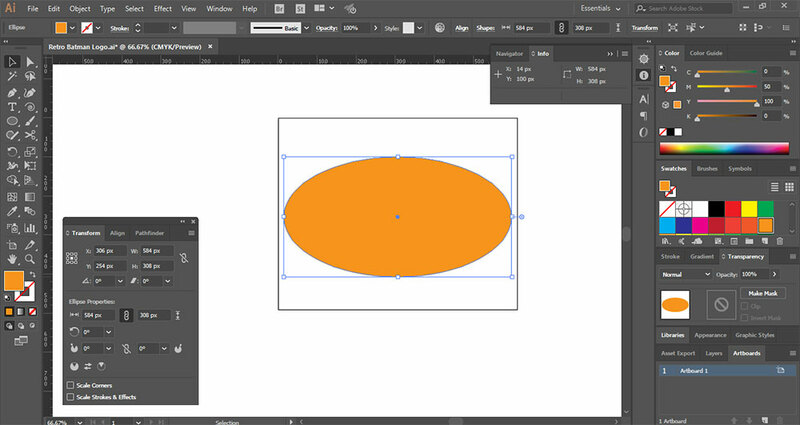 Using the Ellipse Tool (L), draw two circles equal distance from each other and the outer edge on the top of the orange ellipse. 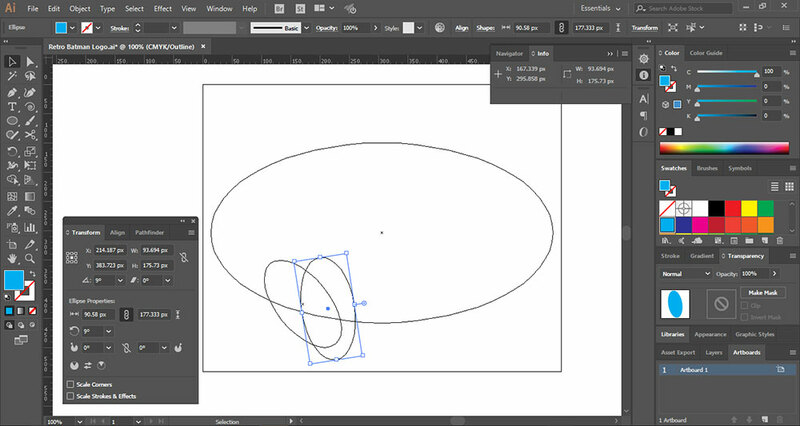 Use the Pen Tool (P) to draw a triangle along the right edge of the left circle (see placement in the picture below). 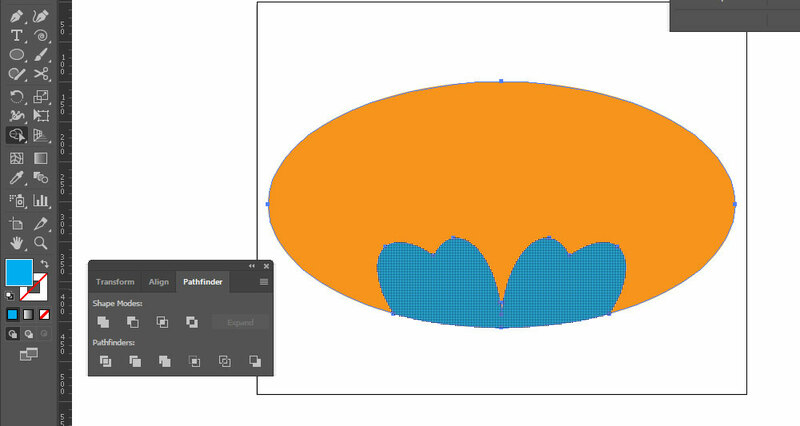 The aim of this shape is to get the space between the two blue circles to be a straight line from the top of the orange ellipse until it hit the center of the blue circle (see reference below). Repeat the pink triangle on the other blue top right circle. Select both pink and blue tops shapes and click on Unite in PathFinder Panel. 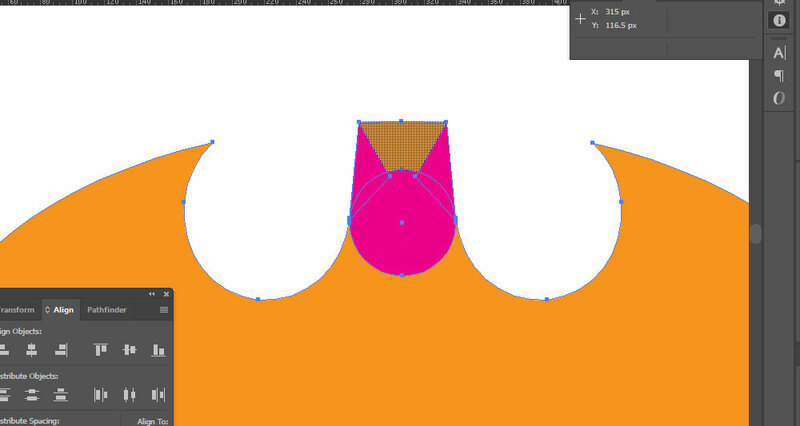 Now select both the shapes orange and pink and use Minus Front in Pathfinder panel to cutout the tops. 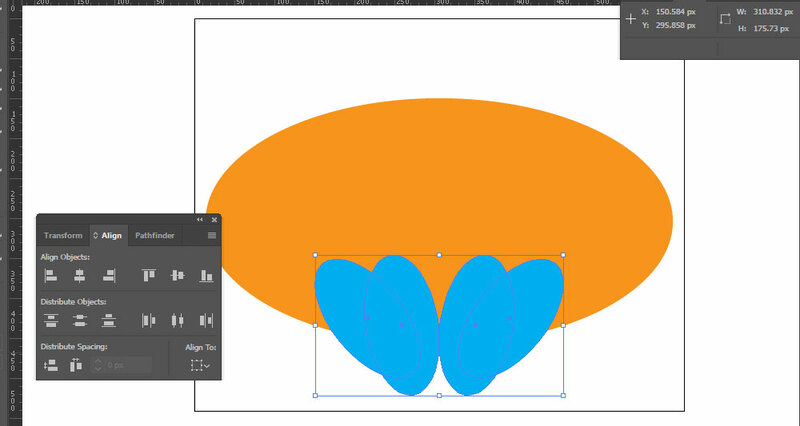 Using the Ellipse Tool (L) draw a circle a bit past half-way down the middle bit. 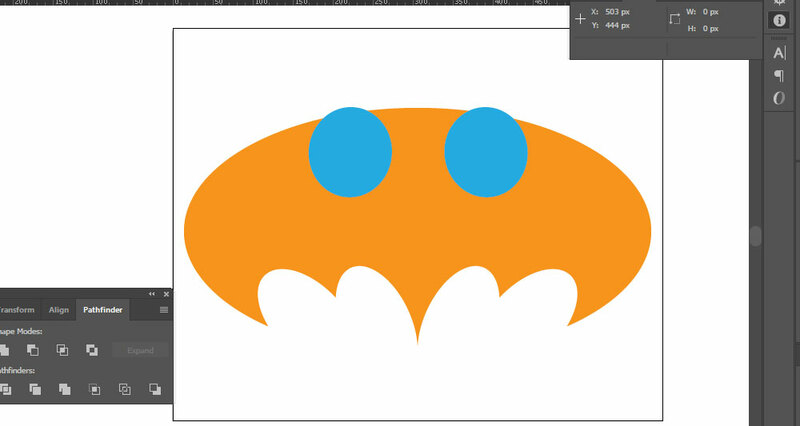 This will form the bat head. 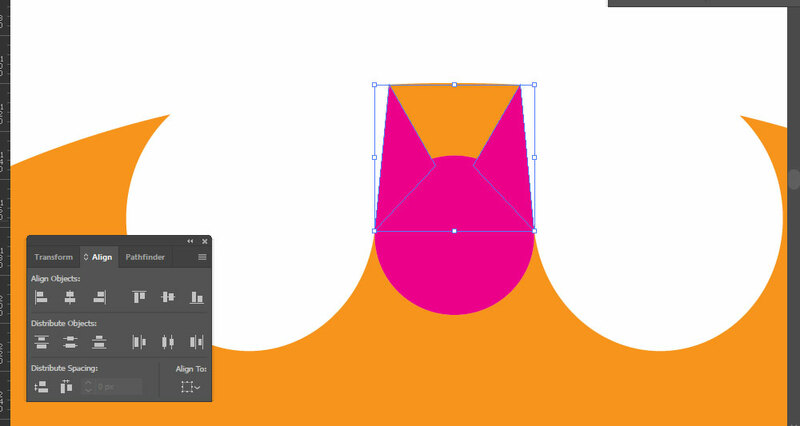 Draw two triangles with the Pen Tool (P) on either side for the ears. 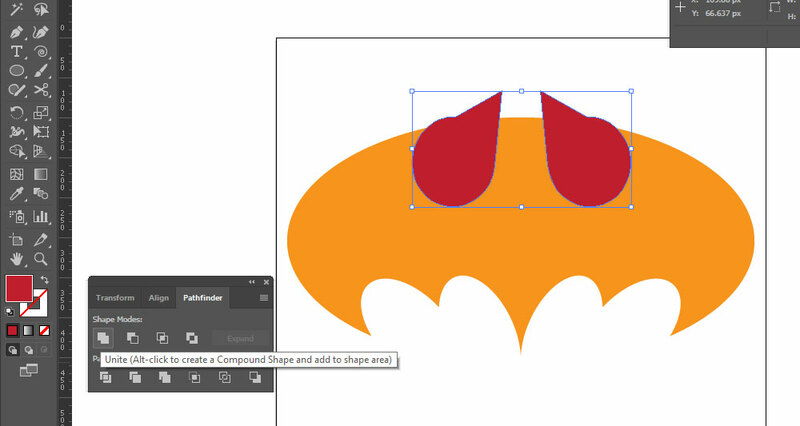 Select all of the pink and orange shapes with the Selection Tool (V) tool and then select the orange shape in between the bat ears with the Shape Builder Tool (Shift + M). 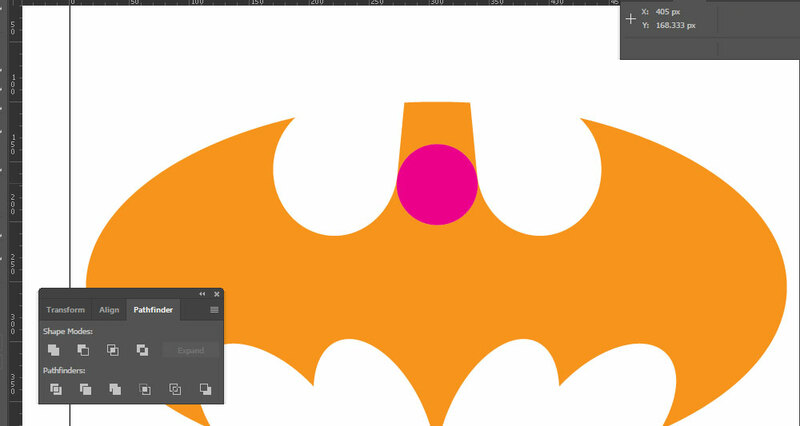 Delete this middle shape and Unite the pink Bat-head and orange shape in Pathfinder panel and then your bat shape is complete. Select your Bat Shape and change the color to black. 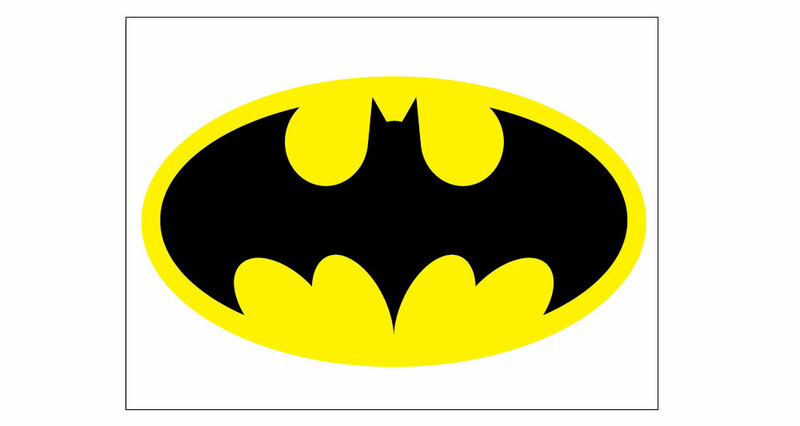 Draw a large horizontal ellipse around the bat and center the black shape within it. POW! You’re Done with Retro Batman Logo! Add a black ellipse behind the yellow one to finish off the logo. POW! 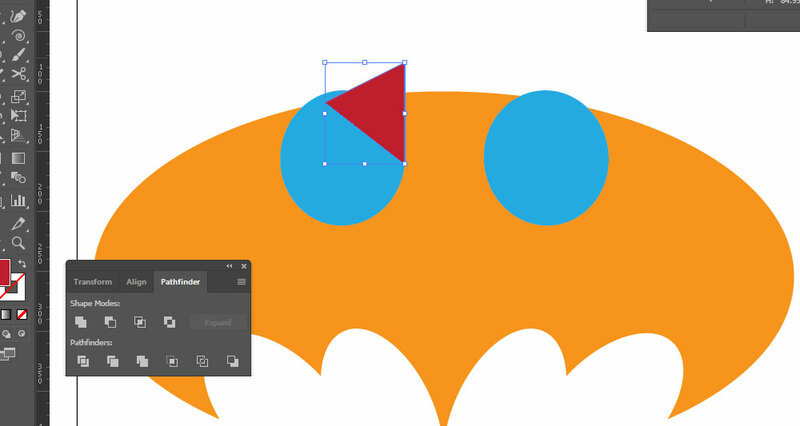 This Bat-Tutorial has Bat-Finished in record Bat-Time. 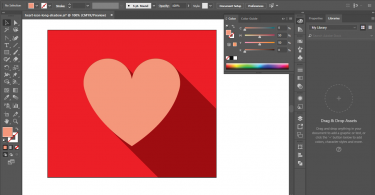 Creating this iconic logo familiarizes users with various tools and building complex shapes from simple ones. 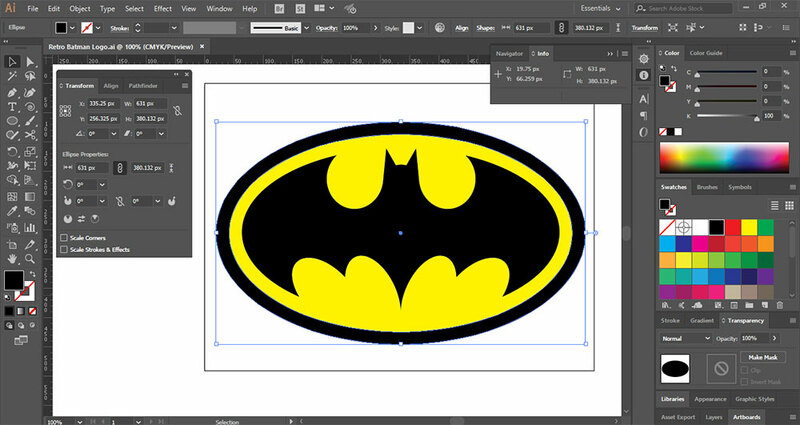 You can download the Retro Batman Logo Source File.